Caroline “Carol” B. Roedel, age 81 of McCook, NE passed away Friday, September 7, 2018 at Hillcrest Nursing Home in McCook, NE. Carol was born April 11, 1937 in Vernon, Colorado to parents Melvin C. and Helen L. (Haskell) Akey. She was one of four children born to this union. Carol grew up in Vernon where she attended school, graduating from Vernon High School. On April 4, 1967, Carol married the love of her life, Willard Roedel in McCook. The couple made their home in McCook and was blessed with three children. Over the years, Carol worked as a secretary for a local law office. As a family, they attended Peace Lutheran Church in McCook where Carol was also a member. Carol could often be found working in her gardening or tending to her flowers. Dancing was a favorite past time she shared with Willard and the two loved square dancing together. Carol was a member of the Malleck Oil Volleyball Team for many years and also enjoyed playing on a softball team. Carol was preceded in death by her parents; and an infant son. 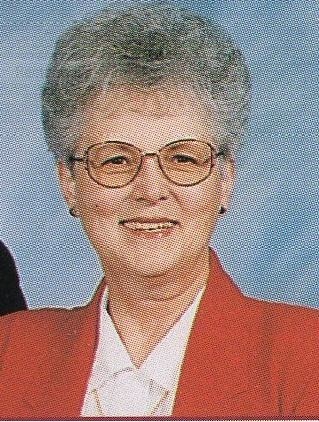 Those left to mourn her passing include her husband, Willard Roedel of McCook; two daughters, Gina (Shane) Hatch of Lincoln, NE and Joni (Kevin) Stimits of Larkspur, CO; three brothers, Ronald (Mildred) Akey of Haigler, NE, Bernard (Judy Wilson) Akey of Wray, CO and Rodney Akey of Idalia, CO; and four grandchildren, Andrew Hatch of Lincoln, Corey (Niki) Lupton of Tyler, TX, Olivia Stimits and Haylie Stimits, both of Larkspur.